Obesity and Cancer | Christoph Gelsdorf, M.D. The most recent edition of Living Well in Myanmar offered five guiding lifestyle principles for avoiding a heart attack. By eating well, exercising, maintaining a healthy weight, not smoking and drinking alcohol in moderation, you can greatly reduce your chance of running into heart troubles. But can those behaviours also help with other areas of your health? We have evidence, of varying quality, that exercise reduces your risk of Alzheimer’s disease, not smoking reduces your risk of stroke, and eating well lowers your risk of diabetes. What about a healthy weight? Besides the obvious advantage of things like reduced joint pain and cholesterol levels, what other benefits does keeping off the pounds provide? Increasingly in recent years, medical evidence has suggested that being overweight is linked to developing cancer over the course of a lifetime. A new study published in the journal The Lancet a few months ago gives us greater insight into how strong the relationship between extra pounds and malignancy might be. The biggest dangers were identified for uterine cancer (62 percent increased risk), gallbladder cancer (31 pc increased risk), kidney cancer (25 pc increased risk) and liver cancer (19 pc increased risk). 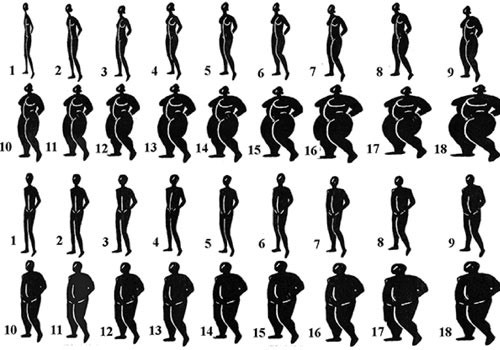 Overweight people also had more colon, thyroid, cervical, ovarian, breast and leukemic cancers. The researchers concluded that in the UK an annual 12,000 extra cases of cancer occur simply because people are overweight. This compounds the already heavy burden that obesity places on national health care systems. In Myanmar we don’t have the same levels of obesity-related complications as in many Western nations. Yet. Anecdotally most general practitioners I work with in Yangon say there is a growing trend in excessive weight gain among their patients. It’s also safe to say the general population under-appreciates the dangers of being overweight. And at the moment it may well be more dangerous to be obese in Myanmar than in a developed country. This is because the current lack of accessible, reliable and well-regulated medical care makes it unlikely that an overweight person can access the risk-reduction screenings and interventions that they need. A strong case can be made that preventing obesity is more important in Myanmar than in many other countries. The physiologic mechanism by which extra weight leads to cancer is poorly understood. Also, there appears to be significant variation in how much obesity contributes to each cancer type and at what weight levels the danger begins to increase. But despite the lack of clear scientific explanations or guidelines, we can now be certain that maintaining a healthy weight reduces cancer risk, and the best way to do that is by choosing a healthy mix of foods, avoiding excessive calories and leading an active lifestyle.